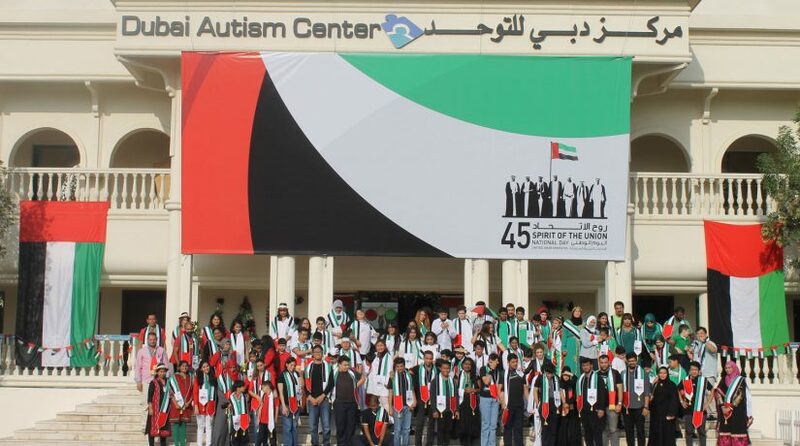 Children at the Dubai Autism Center (DAC) took part in the country’s celebrations for the 45th National Day and expressed their pride, love, loyalty and sense of belonging to the wise leadership. The Dubai Autism Center was established in 2001 as a non-profit organization to provide various specialist services for children with autism and their families. 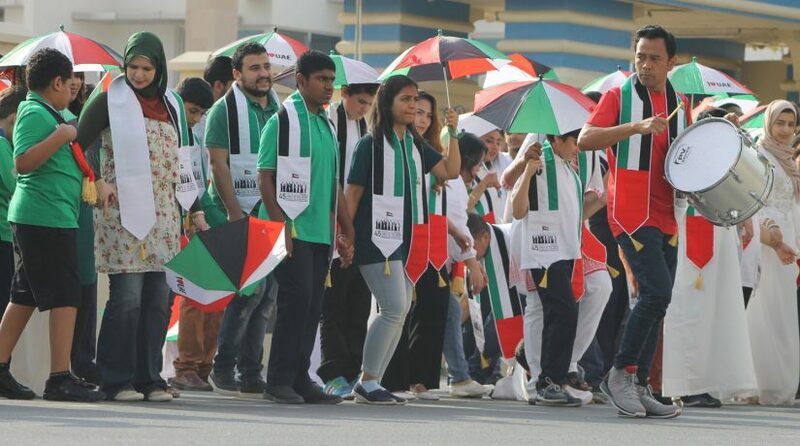 The Center also works toward facilitating a better community understanding of autism, participating in the development of international autism information networks that focus on exploring more facts related to autism in the United Arab Emirates. Autism is a complex neurobiological disorder that lasts throughout a person’s life; it affects the person’s verbal and nonverbal communications as well as imaginative play and social skills. ASD transcends social, cultural and geographic boundaries. According to recent studies, 1 out of every 68 children is affected by Autism.